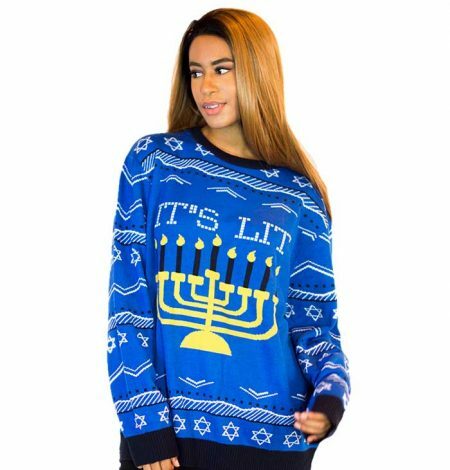 Who said ugly sweaters were just meant for Christmas? 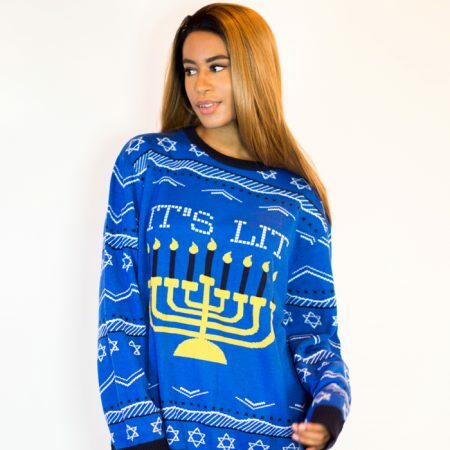 For those who honor Hannukah as their holiday celebration, turn heads in this ugly ensemble. 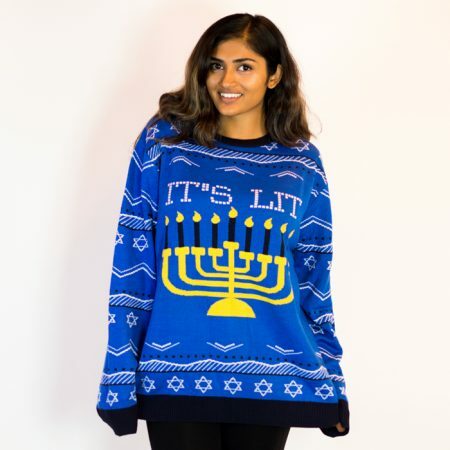 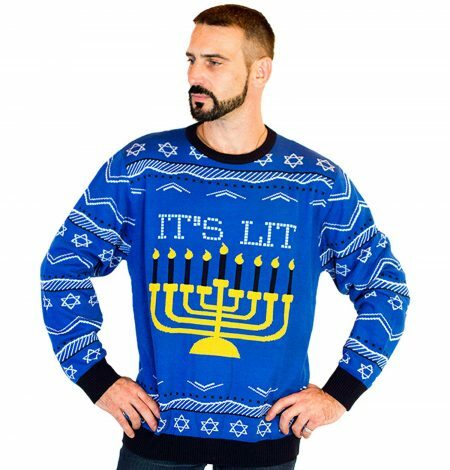 You’ll want to show this sweater off all eight nights, proving the menorah won’t be the only thing that’s lit this season.